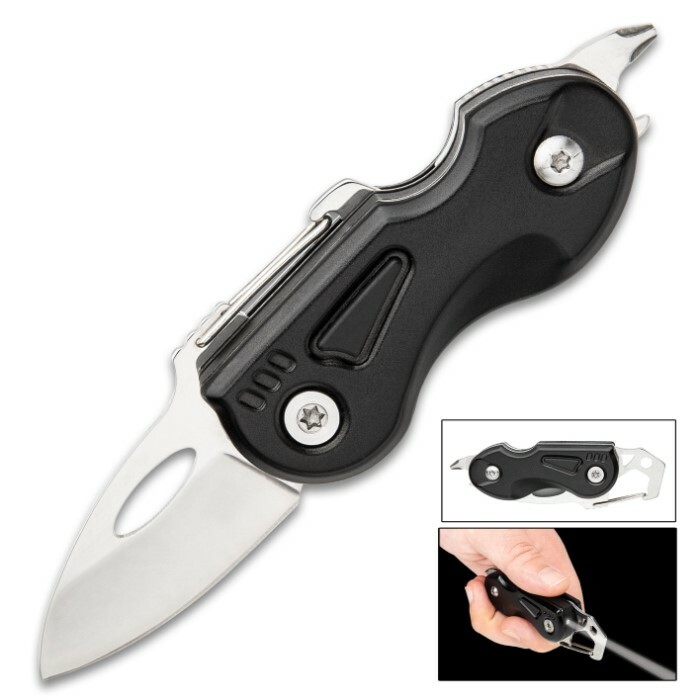 Mini Black Utility Pocket Knife - Stainless Steel Blade, TPU Handle, Integrated Carabiner, Screwdriver, Bottle Opener - Closed 3 3/4” | BUDK.com - Knives & Swords At The Lowest Prices! 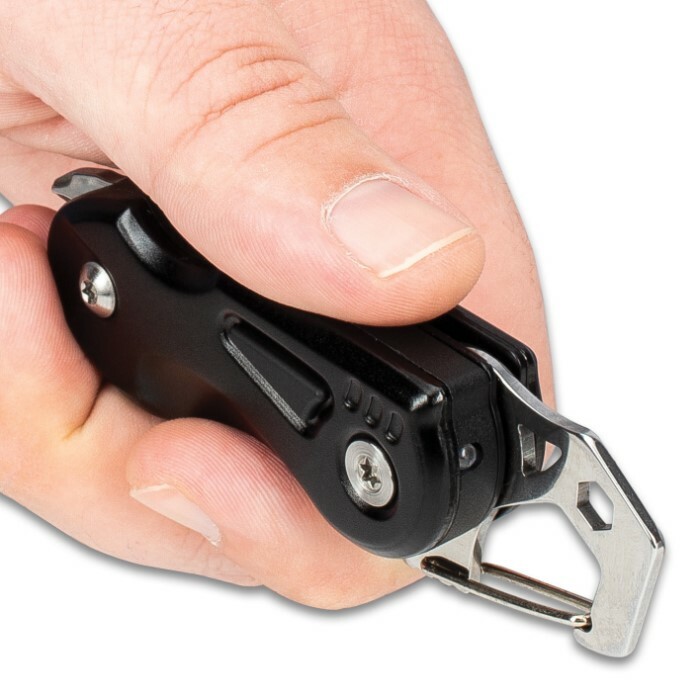 Our Mini Black Utility Pocket Knife is a compact knife with integrated, practical tools that you need to carry on you every day. 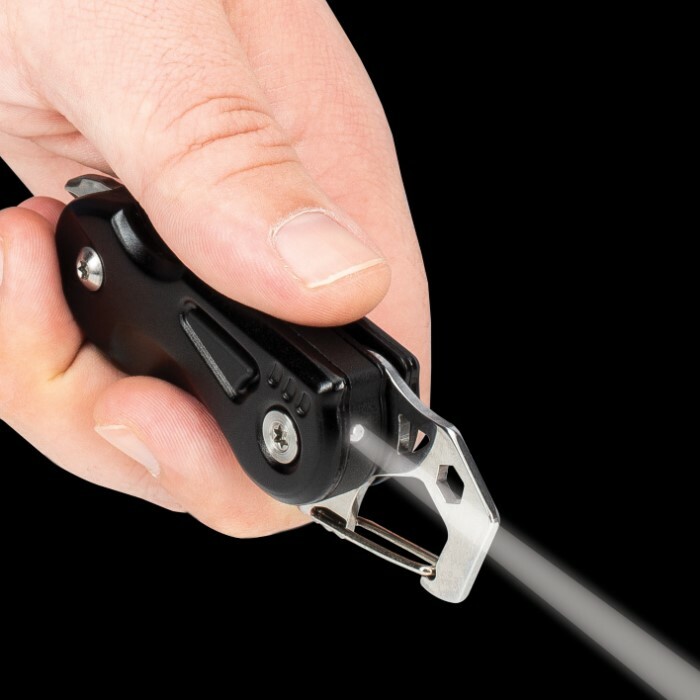 It has a 1 3/4”, sharp stainless steel blade, which can be smoothly deployed manually. 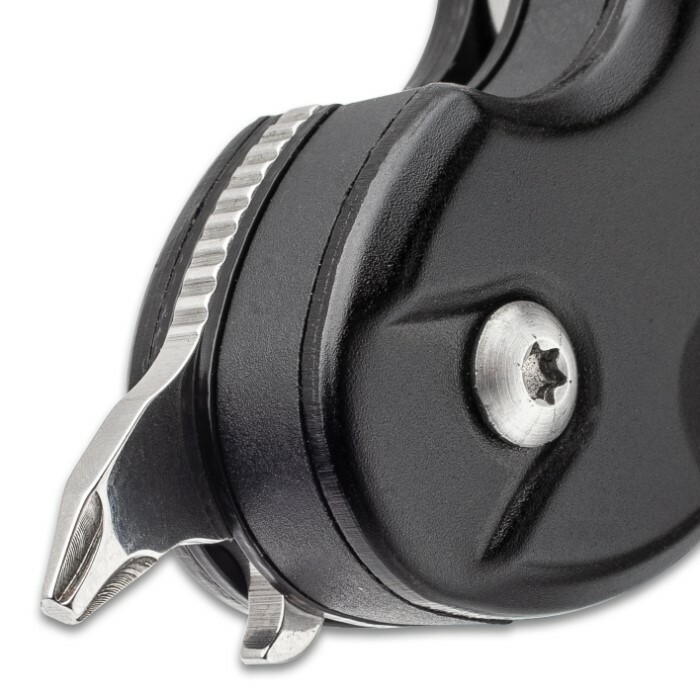 The utility knife has an integrated carabiner on the end of the blade tang and it also has jimping for added traction. 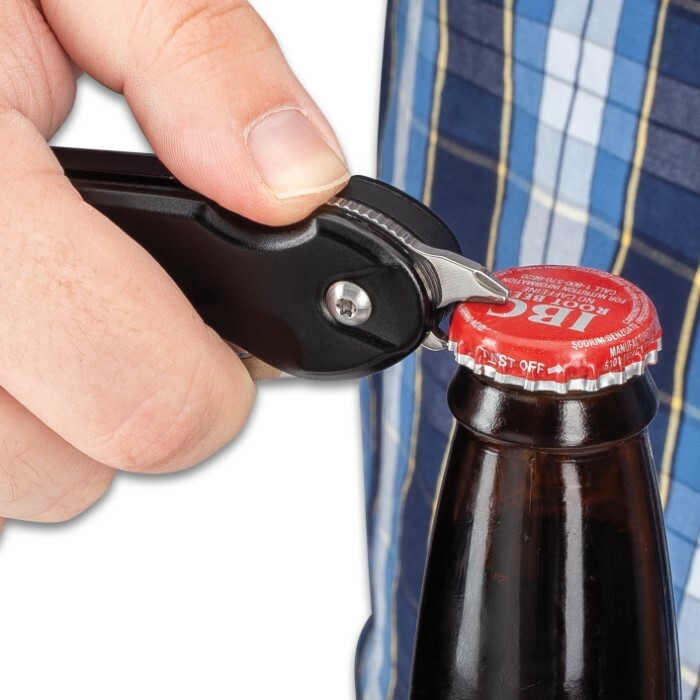 The hefty, black handle is made of tough and durable TPU and features an integrated flashlight, screwdriver and bottle opener. 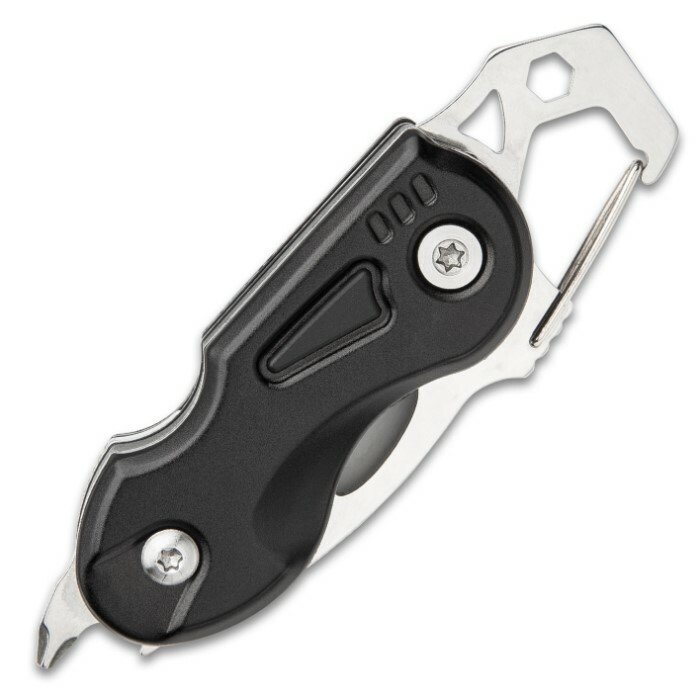 The Mini Black Utility Pocket Knife also features a lanyard hole, allowing you to carry it on your keychain and the knife is 3 3/4” closed.